The wackiest sounds can be found in nature - including those noises that audio wizards spend hours or days manufacturing in a studio. Greg Budney has listened to countless bird songs, walrus calls, and more - for science! He is the audio curator for The Macaulay Library at the Cornell Lab of Ornithology, and they've recently finished converting their massive archive of wildlife sounds to digital files and putting them online for everyone to enjoy. It's an aural treasure trove. It's fun to think that people are probably strolling about in a conservatory and suddently, they hear a familiar sound. 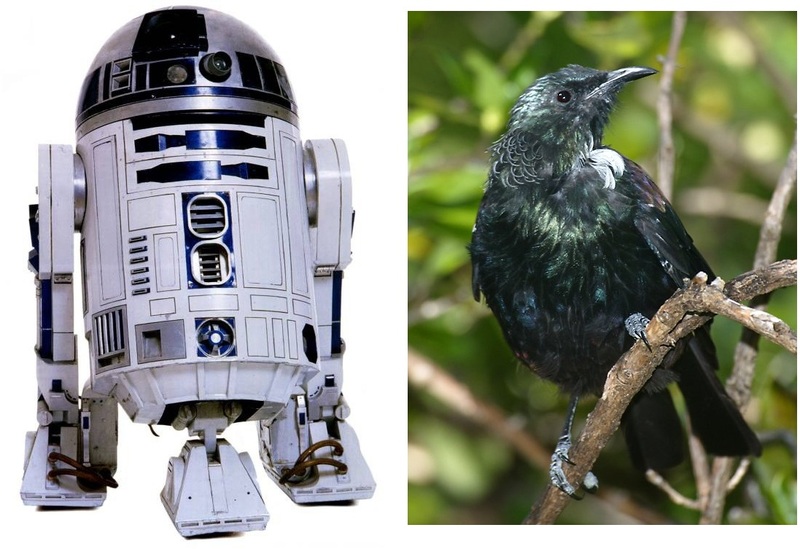 They look around for a droid (or someone answering a cell phone) but only see birds. In fact, Ben Burtt , the sound designer who created the voice or R2-D2, feels the same. I played it for him out at Skywalker a number of years ago and one of the other staff members walking by heard it and assumed that Ben was playing the sound for me. Ben told me it took him three months to develop R2-D2's voice, and here it is in nature. You can check out 46 different recordings of the Tui bird in the Macaulay Library archive. Indian Packers and Movers in Mumbai give packing and moving services like loading & unloading, packing & unpacking, car carriers, transportation, domestic &local shifting, international shifting, Industrial shifting, corporate shifting, Warehousing, etc. Packers and Movers in Mumbai achieve conceit in offering great packing and moving services at reasonable costs. We deal all types of packing and moving services in Mumbai and other main cities of India. Her Universe Launches Year of the Fangirl!